Thomas Dennehy, who goes by the moniker "Breakfast", grew up in a musical family and has been playing and singing for as long as he can remember. He grew up on a steady diet of Boy Scout camp songs and classical music and then went to Berklee College of Music in Boston, where he got a degree in Professional Music. He currently plays saxophone with several brass bands, most notably Mission Delirium, a San Francisco-based band that tours internationally, plays percussion for Taller Bombalele, a collective that performs traditional Puerto Rican music and dance, and plays keyboard and sings for local comedic music group The Wyatt Act. 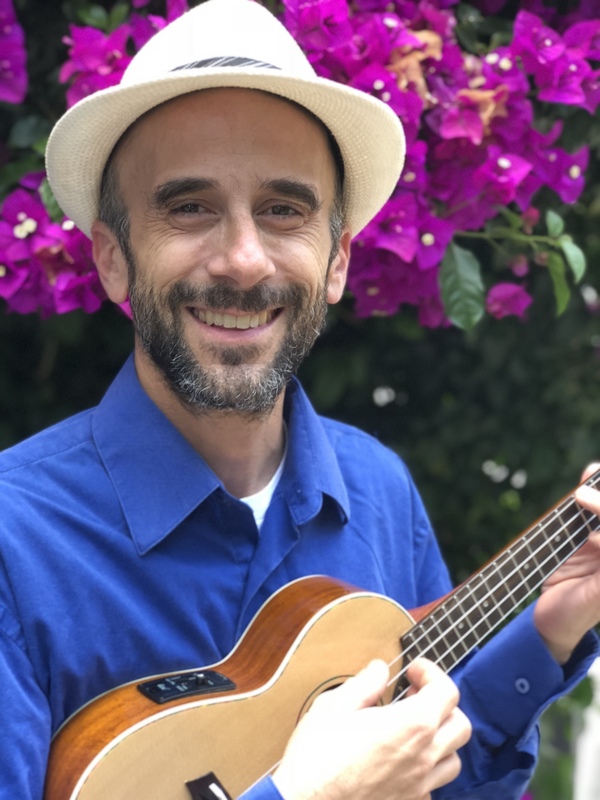 In addition, he is a teacher of music and languages, loves working with kids, and is very excited to have the opportunity to share his love of music with Music Together® families. "Music is more of a social activity than a performative skill, and I believe everyone has the ability to do it. I love helping kids connect with music, as well as helping adults discover that they have more music in them than perhaps they'd realized. My teaching style centers on fun, exploration, and play. I'm thrilled to join this program and help families foster an appreciation for making music at home!"